The Acura NSX, also known as the Honda NSX is a mid-engine sports car that started out as a concept. NSX. The acronym stood for "New Sports Experience". The first generation of this mid-engine sports car ran from 1990-2005. It was powered by an all-aluminum 3.0l V6 with Honda's VTEC variable timing technology. In 1997, the motor got an upgrade to a 3.2l V6. By 2002, there was a slight aesthetic upgrade before it was discontinued from production in 2005. 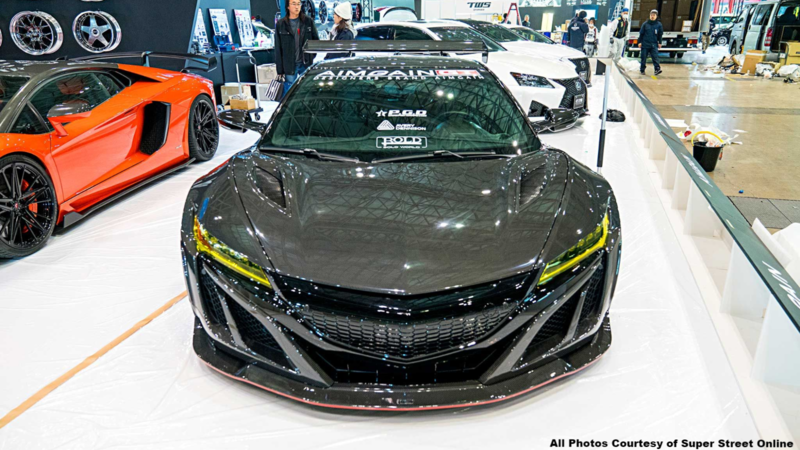 Fast forward to 2015, the Acura NSX concept was debuted at the North American International Auto Show. It started selling in 2016 and unlike its predecessor, this one is built and developed in Ohio at Honda's auto plant. This version comes with a 3.5 L twin-turbo V6 engine and three electric motors, two of which form part of the "SH-AWD" drivetrain system. Together, this combination is capable of close to 600 hp. That is a huge upgrade for this hybrid sports car! Aimgain is an automotive design company that specializes in the JDM market. 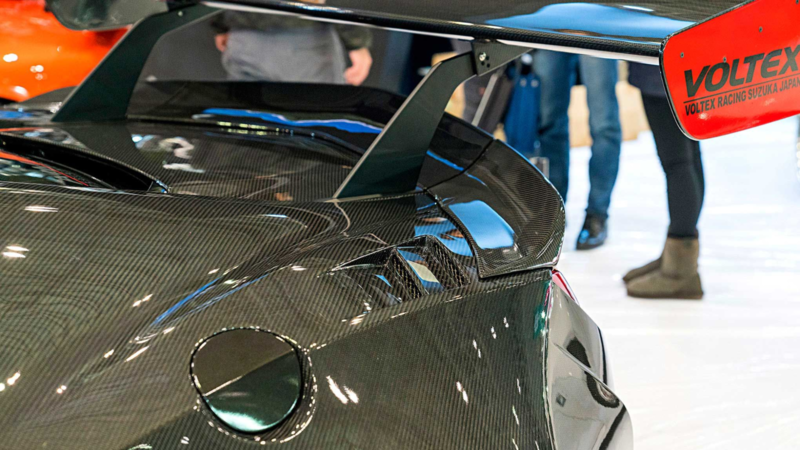 They produce various body kits, aero components and widebody parts for a number of vehicles that range from your standard Toyota Celica and everything up to Lamborghini applications. The kit offered here is the GT version. They also have a Sport version which is ideal for those wanting to color match to the paint code of their specific model. The kits are on the premium end which could cause the prospective buyer tens of thousands of dollars. 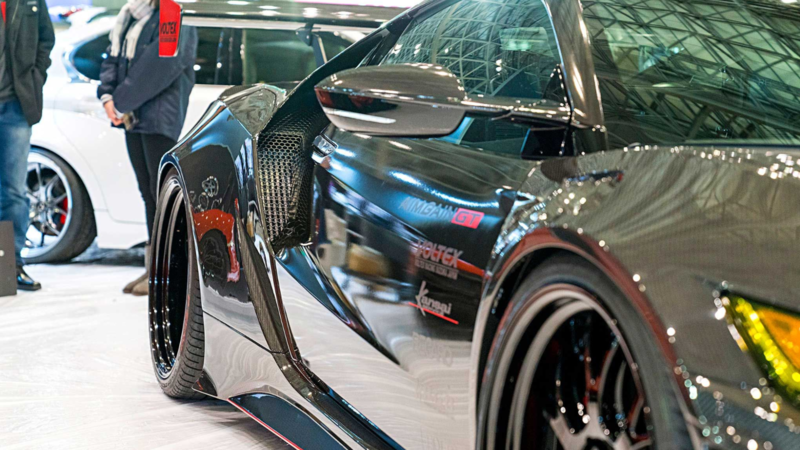 >>Join the conversation about this carbon fiber NSX right here in the Honda-Tech Forum! The front fenders are measured to be 50mm wider than stock while the rear quarter panels are 80mm wider than stock. That's a 100mm up front and 160mm out back of track. Can you say "widebody"? You know the saying "You've gotta pay to play." That's real talk when it comes to this kit. It costs $3.9 Million Yen. Hold your breath because the conversion is a little less of a jab to your wallet converting to $35,600! Sorry, it is actually quite the stab when you consider that for that same amount of money you could buy a different car altogether, buy multiple cars or perhaps funnel all the money into performance parts. To each their own. This is definitely a one-off kit and comes with a number of added benefits to back the costly figures. 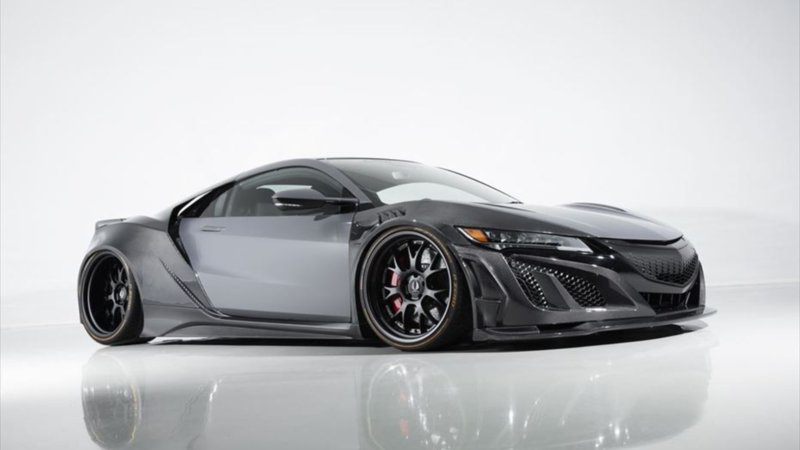 Then again, if you're able to afford the 2nd generation NSX at it's "modest" price tag ranging in the 6 figure dollar amount, a kit like this is probably within your spending power. What's the point of adding that much depth to an already sleek ride if you don't upgrade the wheels to match the corners and give it that overall aggressive track look? 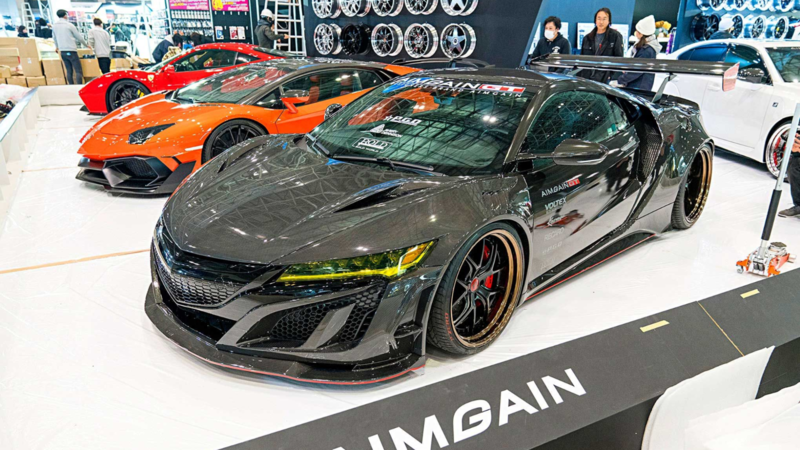 Luckily, Aimgain offers the option to upgrade the wheels of your beautiful NSX to their NC1 options which are made of anodized aluminum called Alumite. These behemoths are 20" of rolling beauty. The front wheels measure 20x9 while the rears are 20x11.5. These are then wrapped in Pirelli P-Zero's measuring 245/30-20 in the front and 325/25-21 in the rear. The wheels complement the kit very well in completing that widebody look making this NSX one very fierce ride!